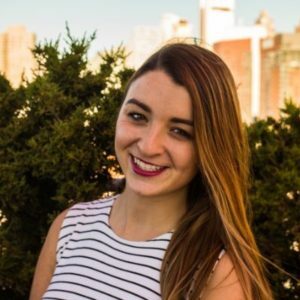 Maia Henderson (PC ’15) is currently an Assistant Account Executive on the NASCAR team at Ogilvy & Mather. Maia was an Advertising major and her capstone thesis titled “Instagram: Building a Following in Niche Audiences and Captivating Strangers Utilizing Visual Social Media” was a creative project which explored the process and strategy of building an engaged following through social media platforms. As an Honors student, Maia “enjoyed being around intellectuals who valued good conversation and debate.” While reflecting on her experience, she indicated that Honors made her not only more educated in her own field, but also “instilled [in her] a strong appreciation for culture and other fields of study.” Maia recently attended and highly enjoyed the Renee Crown Honors Alumni Happy Hour at the Lubin House in NYC and encourages others to become involved!